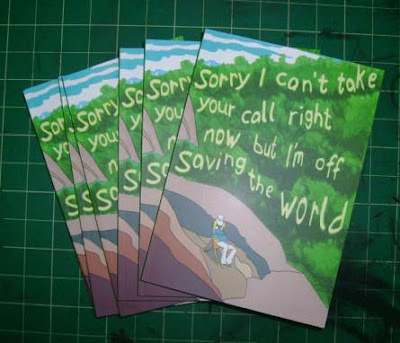 Ale Mercado Graphics: "Sorry I can't take your call but I'm off saving the World" Anthology for sale now! "Sorry I can't take your call but I'm off saving the World" Anthology for sale now! The Comic Book Anthology "Sorry I can't take your call but I'm off saving the wrold" is available for sale in www.goalanthology.com It is fantastically edited and produced by Cliodhna Lyons, it has some great comics in there... and it is for a damn good cause, so what are you waiting for? Posted by Alé Mercado at 6:18 p.m.